This paper presents the wheel life and wear behavior of the cutting edges of a coarse-grained, microdressed cubic boron nitride (cBN) wheel used in mirror-grinding of hardened roll-steel. Many grain-cutting edges with smooth, ductile-mode cut surfaces and numerous brittle-mode-fractured micro dents are formed on the wheel’s working surface after microdressing with a fine-grained diamond dresser. Cylindrical mirror-grinding experiments are conducted using a metal-bonded cBN wheel with a mesh size of #140 (Average grain size da =105 μm). A mirror surface with a roughness below 0.2 μm Rz can be efficiently formed with the wheel surface treated by the abovementioned microdressing method. This wheel surface can perform mirror-grinding with precision for more than nine hours. A flat plane formed via attritious wear of the cutting edge gradually extends with increasing accumulated stock removal, and simultaneously, the unevenness due to wear streaks on this flat plane increases. This increase in the unevenness of the worn flat plane is the main factor causing an increase in the roughness of the mirror surface. T. G. Bifano, T. A. Dow, and R. O. Scattergood, “Ductile-Regime Grinding of Brittle Materials: Experimental Results and the Development of a Model,” Proc. of the SPIE, Vol.966, pp. 108-115, 1988. S. Chandrasekar and G. Sathyanarayanan, “An Investigation into the Mechanics of Diamond Grinding of Brittle Materials,” 15th North American Manufacturing Research Conf. Proc., Vol.2, Manufacturing Technology Review, pp. 499-505. 1987. T. G. Bifano, T. A. Dow, “Ductile-Regime Grinding: “A New Technology for Machining Brittle Materials,” Vol.113, No.184, Trans. of the ASME, pp. 184–189, 1991. P. A. Mckeown, K. Carlisle, P. Shore, and R. F. J. 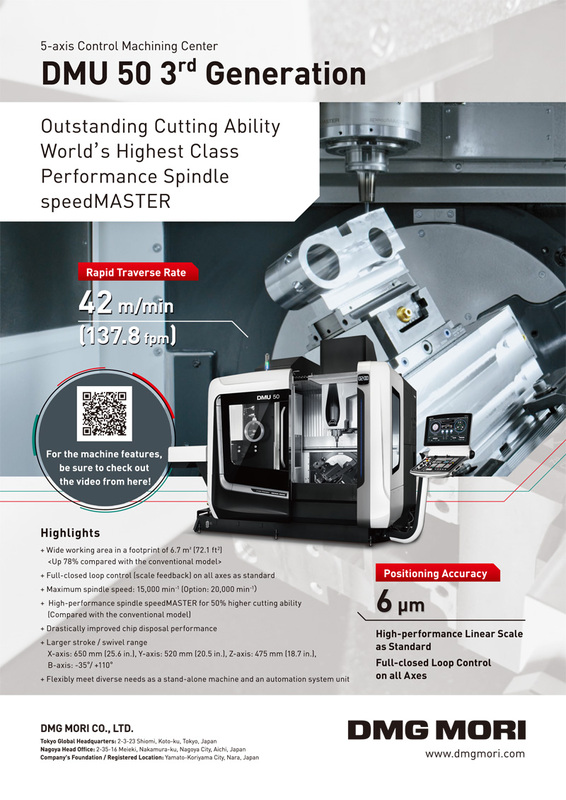 Read, “Ultra-precision, High Stiffness CNC Grinding Machines for Ductile Mode Grinding of Brittle Materials,” J. of the Japan Society for Precision Engineering, Vol.56, No.5, pp. 806-813, 1990. S. C. Fawcett and T. A. Dow, “Development of a Model for Precision Contour Grinding of Brittle Materials,” Precision Engineering, Vol.13, pp. 270-276, 1991. T. G. Bifano, C. Steven, and J. Fawcettf, “Specific Grinding Energy as an In-process Control Variable for Ductile-Regime Grinding,” Precision Engineering, Vol.13, No.4, pp. 256-262, 1991. H. Yamakura, T. Tamura, and M. Masuda, “Ductile Mode Grinding of Brittle Materials by Metal Bonded Diamond Wheels, (1st report),” J. of the Japan Society for Precision Engineering, Vol.61, No.1, pp. 147-153, 1995. H. Suzuki, M. Abe, and Y. Namba, “Ductile Grinding of Glass-Ceramics with Bronze-Bonded Diamond Wheels,” J. of the Japan Society for Precision Engineering, Vol.63, No.4, pp. 535-540, 1997. M. J. Chen, D. Li, S. Dong, and F. H. Zhang, “Factors Influencing the Surface Quality during Ultra-Precision Grinding of Brittle Materials in Ductile Mode,” Key Engineering Materials, Vols.257-258, pp. 201-206, 2004. Y. Ichida, H. Ueno, Y. Morimoto, and R. Sato, “Study on Micro Dressing of cBN Grinding Wheels,” J. of the Japan Society for Abrasive Technology, Vol.50, No.4, pp. 211-216, 2006. X. Kang, J. Tamaki, and A. Kubo, “Effect of Cutting Edge Truncation on Ductile-Regime Grinding of Hard and Brittle Materials,” Int. J. Manufacturing Technology and Management, Vol.8, No.1/2, pp. 183-191, 2006. F. W. Huo, Z. J. Jin, F. L. Zhao, R. K. Kang, and D. M. Guo, “Experimental Investigation of Brittle to Ductile Transition of Single Crystal Silicon by Single Grain Grinding,” Key Engineering Materials, Vol.329, pp. 433-438, 2007. Y. Ichida, R. Sato, and J. Akbari, “Formation Mechanism of Cutting Edges in Micro Dressing of cBN Vitrified Bonded Wheels,” J. of the Japan Society for Abrasive Technology, Vol.53, No.4, pp. 236-241, 2009. P. Yao, N. Yoshihara, N. Hitomi, J. W. Yan, and T. Kuriyagawa, “Ductile and Brittle Mode Grinding of Fused Silica,” Key Engineering Materials, Vols.447-448, pp. 21-25, 2010. Y. Ichida, “Formation Mechanism of Grain Cutting Edges in Micro Dressing of Polycrystalline cBN Grinding Wheels,” key Engineering Materials, Vol.523-524, pp. 137-142, 2012. Y. Ichida, R. Sato, H. Ueno, and S. Nagao, “High-Efficiency Mirror Grinding using Ultrafine-Crystalline cBN Grains,” Proc. of 10th Int. Conf. of the European Society for Precision Engineering and Nanotechnology, Vol.1, pp. 68-72, 2008. Y. Ichida, R. Sato, M. Fujimoto, and N. B. Fredj, “Fractal Analysis of Self-Sharpening Phenomenon in cBN Grinding,” Key Engineering Materials, Vols.389-390, pp. 42-47, 2009. M. Fujimoto, Y. Ichida, R. Sato, and Y. Morimoto, “Characterization of Wheel Surface Topography in cBN Grinding,” JSME Int. Journal, Series C, Vol.49, No.1, pp. 106-113, 2006. Y. Ichida, R. Sato, M. Fujimoto, and H. Tanaka, “Fractal Analysis of Cutting Edge Wear in Superabrasive Grinding,” JSME, J. of Advanced Mechanical Design, Systems and Manufacturing, Vol.2, No.4, pp. 640-650, 2008. M. Fujimoto, Y. Ichida, and R. Sato, “Wear Characteristics of Vitrified cBN Grinding Wheels,” JSME, J. of Advanced Mechanical Design, Systems and Manufacturing, Vol.2, No.4, pp. 570-578, 2008.